Notes: Mine illustrated is on Hogweed. Moths bred through - emerged 04.vii.2005. The larva are often gregariuos and feed on the underside of the leaf causing a 'windowing' effect as they eat the mesophyll and lower epidermis. 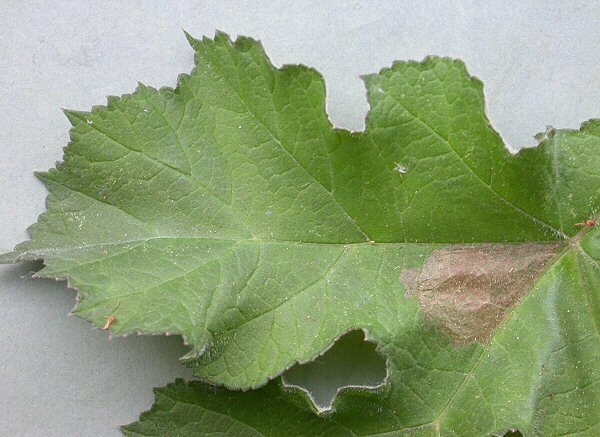 This effect can be seen from the top of the leaf as it discolours (as shown).